Lens Culture International Exposure Awards discover, recognize, reward and promote talented, new and emerging photographers from around the world.We’re looking for exciting images from every continent, and from diverse points of view: documentary, fine art, photojournalism, street photography, poetic, personal, abstract and human. Four winning photographers will each earn cash prizes — plus prominent, exclusive photo features in Lens Culture, giving them access and broad exposure to an enthusiastic, influential worldwide audience. Submit 10 to 15 photographic images that are linked — thematically, aesthetically, as a story, or simply as a range of your photographic talent. Edit your selections carefully, since this category will be judged on the strength of the group of photographs as a whole, and not as individual photographs. Submit one to five photos to be considered for the Single Image Photo Awards. Often, a single powerful photograph captures our attention as important, artistic, meaningful, and memorable. A great photo can stand on its own, demonstrating a remarkable level of visual perception, sensitivity, and creativity. The jury will choose three cash prize winners in this category. PRIZE DETAILS: The Portfolio Grand Prize winner and the three Single Image Photo Award winners will receive $1,000 credit toward a professional, custom-designed portfolio website by liveBooks and will be able to make a free 8x10 or 10x8 Blurb photobook of their own photos, up to 120 pages, on premium paper (value 50 euros or $70). 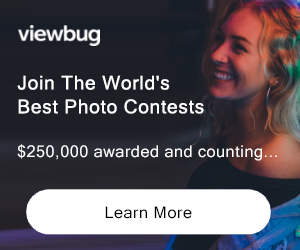 25 photographs will win Honorable Mentions in the Single Image Photo Awards, and prominent placement of their winning photo on the Award Winner's Page in Lens Culture, including a link to their own personal or professional website. Honorable Mention winners will be able to make a free 8x10 or 10x8 Blurb photobook of their own photos, up to 120 pages, on premium paper (value 50 euros or $70). 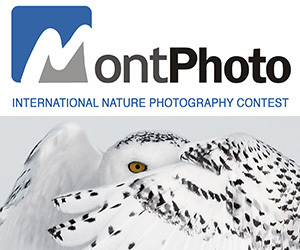 ELIGIBILITY: Open to photographers over 18 years of age. All nationalities welcome. Not eligible to enter? - Find contest where you are. COPYRIGHT: Lens Culture recognizes you retain full ownership of the copyright in each photograph.All winners, including Honorable Mention winners, understand that the photograph(s) submitted to the competition may be used by Lens Culture to conduct and promote the Lens Culture International Exposure Awards competition. You hereby grant Lens Culture with a right to use the photograph only within the framework of such promotional activities.